I get a lot of questions from aspiring makeup artists asking for tips on building their makeup kit. This actually isn't an easy question because there are a lot of parts to the kit. Each artist also has their own preferences for tools and specific types of clients they work with. However, for beginning makeup artists...most artists actually, there are a few essentials. I decided to focus this post on Disposable Makeup Applicators. These come in handy especially when you work on larger gigs (i.e. weddings, fashion shows) where you don't have time to clean your brushes. Also, some products need disposable applicators because you cannot double dip for sanitary reasons (i.e. mascara). Disposable Makeup Applicators often come in sets...sometimes 5, 10, 25, 50, 100, even 1000. Keep this in mind when purchasing. That way, you can get the most value for your money. I like to buy in bulk because it's cheaper that way...and I can also save on shipping costs. Q-Tips: You can buys these at any drugstore. You don't necessarily need to get the Q-Tip name brand, but be wary of some of the cheaper ones because they don't contain as much cotton at the ends and it can poke clients. I love using these for a variety of purposes. I use them to clean up eyeshadow, clean up around the lips...smudge eyeliner. They're an essential in my kit. You can also get the q-tip applicators which are geared for beauty. One end has a pointed tip and the other has a flatter bud. You can use the pointed tip for getting precise application of liner and detail work. The wider end can be used to apply product as well. I usually find these in the makeup aisle with the sponges and puffs. 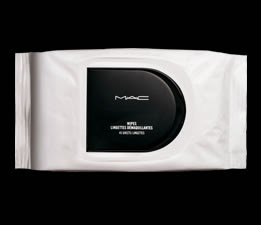 Makeup Wipes - There are so many brands of makeup wipes and everyone has their favorites. 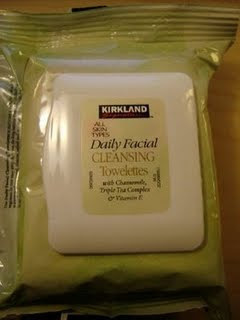 MAC seems to be pretty popular but I've recently discovered my new HG wipes...the Kirkland Brand makeup wipes. They are 100 times better and are way cheaper even when bought in bulk. I talk about them in an upcoming favorites video so I won't go into too much detail. You can find multiple brands like Ponds, Neutrogena, Oil of Olay at the drugstore...and they all have their own brand of wipes. Some also like to buy baby wipes or wet wipes. I use those for cleaning hands and palettes, but I prefer to use makeup wipes on client's faces. I like to have every client wipe off their face makeup and any trails of oil and dirt before I start the makeup application. That way, I have a fresh slate to work with. Makeup Cleansing Tips - These applicators are optional but I thought I'd share them with you just in case you were interested. These are essentially q-tips that are pre-soaked with makeup remover solution. They cut out the extra step of having to wet your q-tips with makeup remover. I've found that these have come in handy when doing big gigs where I have to move fast. I actually love MAC's cleansing tips. They work great at cleaning up smudged liner or lipstick. They also sell a cheaper brand called Swab Plus at drugstores. These are a little different since you have to bend the tip to get the solution to flow to both ends. I actually find these a bit greasy but they are cheaper. 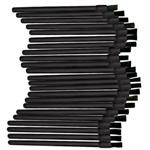 Disposable Eyeliner Applicators: I recently purchased a bunch of these on ebay. I typically use a small eyeliner brush when applying gel and liquid liner. With those kind of brushes, you have to clean off the product in between uses or it doesn't work as well. I always like to cut some time out of my makeup application and decided to try these out. I have the same ones you might have seen at MAC. To be honest, I haven't tried them yet, but I plan on using them for an upcoming wedding. This would be great if you do use a lot of gel or liquid liner products. Disposable Spatulas: I remember buying these in my kit when I first started. These spatulas are used for scooping out cream products like cream foundation or lipstick. I actually bought a pack of about 10 from Sallys. However, I've moved onto using the Steel Palette knives. I find them easier to clean and they work better. However, if you have a project which requires scooping of a lot of different products this might be good for you. Also, this would be good for beginners just starting out. Since these are plastic, you can clean them and reuse. Powder Puffs: Puffs are great for setting and touching up makeup. They come in a variety of sizes from small to large. I actually recently bought a set of 25 from ebay which are about 1 inch wide. I like them because they have a ribbon on the top (like the picture below) so that you can slide this on your pinky when working on clients. That way, if you need to rest your hand on your client during makeup application, the oils from your fingers won't disturb the makeup. I don't use the larger puffs unless I do blotting or touch ups. I do find that these will apply a heavier layer of powder than most brushes...so if you are doing some kind of clown makeup or a theatrical look, these would be perfect for you. Disposable Sponge Wedges: You can actually buy sponges in all sizes...round, triangle, square, egg shaped...but the most common ones for makeup artists are in this wedge shape. Alcone seems to be the most popular brand for makeup artists with it's super thick, washable sponges. You can use these for a variety of reasons...but most use it to apply foundation. I personally like to do the Eve Pearl method - apply cream foundation with a brush, then sheer it out with one of these damp sponges. These are also good makeup remover tools..if you smudge or apply too much makeup...just run these over the mistake to wipe it off. You can also find these available at the drugstore or even the dollar store but the quality won't be as good as some of the higher end brands like Alcone. I don't discriminate and actually have them all -dollar store, target and alcone sponges! Mascara Wands: If you only pick up one kind of disposable makeup applicator, it should be mascara wands. Never ever use the brush that comes with the mascara unless you're planning on giving the mascara to the client (i.e. for a bride). Otherwise, you need to use mascara wands. Use one wand for each eye. Never double dip. If you need more product, throw out the used one and grab another. I like to budget two wands per client. These come either with a straight head or a curved head...it's just preference. Lipgloss Applicators: When applying lipgloss on a client, you follow the same concept...never use the applicator from the lip gloss unless you plan on giving it away to your client. Otherwise, it will be a gross petri dish for infection. Oftentimes I will take the lipgloss and apply some to a palette or the back of my clean hand. Then I'll use a lip brush to take it from the palette and apply it to the lips. For larger gigs or when I don't feel like cleaning my lip brush (because this is harder to clean than normal makeup brushes) I use these disposable applicators. You can use it two ways: stick the lipgloss wand directly into the tube. If you do this, you can't double dip...you'll need a new wand each time you need more product. Oftentimes, I like to apply the product to a palette and then scoop it off with the disposable wand. That way, I don't have to go through too many disposable applicators. Lipstick Applicators: I actually prefer these wands to the doe-foot applicators above. I find that they apply product more smoothly and evenly, and don't waste as much at the same time. I use these for applying lipstick or gloss. The ones in this picture are black, but mine are white with bristles that are more long and skinny than the short and dense ones below. There are several resources available for your to purchase these items. Some of them are more economical than others but I'll give you a wide variety. Ebay - You can find a lot of these for pretty cheap on ebay. When it comes to certain applicators, they're pretty similar no matter where you buy them. I recently bought makeup sponges, makeup puffs, eyeliner applicators, and lipstick brushes. Make sure to buy from a repubtable seller. Craft Stores - If you have an open mind, craft stores can have a lot of these items for cheap. You can find palette knives for $.99 as well as palettes and sponges. I like to go to Michaels where they often give you a 40% off one item coupon on your receipt. Brand Name Makeup Stores - Brands like MAC, Makeup Forever that have freestanding stores and boutiques will also carry these. However, I feel that these are overpriced and you can find them for cheaper elsewhere. Beauty Supply Stores - Beauty supply stores always sell products like these. I used to buy mine from Sallys which was fine in the beginning when I didn't go through that many of them. However, now that I have more clients, I find it cheaper to buy this online and in greater quantities. Drugstores - You'll often find that stores like Target, Walmart, CVS, etc... have sections for makeup applicators. You'll be bound to find the puffs and sponges and sometimes other goodies. Dollar Store - I love going to the dollar store to buy a pack of wedge sponges for $1. Can't beat it! It's not as good as the Alcone brand, but they work great for cleaning up makeup smudges and quick thinning of foundation. Trade Shows - If you're lucky enough to go to a makeup trade show, they'll definitely have products like these and at a discount! I hope this helped some of you out there. These are only a few of my suggestions. If you have any recommendations for products or places to get them please leave them in the comments below. Thanks! Thanks Ren for this this post. I am trying to start my own kit and these tips really help. I think you should make a "building your makeup kit" series or something. Either way your help really is appreciated. Thanks. Thanks for this useful post Ren! You know what? The disposable wands are what I'm looking for! I hate it, we don't have it down here!!!! Hello I am from Argentina and I love your blog. I would like to start working as a make up artist and I would like to ast you if you recommend me to buy Eve Pearl Primiun kit to begin with or with a ssmaller kit it would be ok. thanksa lot. They have the worst and cheapest wedge applicators in the local drugstores. I guess I will just have to always order them online. Great post, this was really helpful. I'm in the middle of putting my kit together. Can't wait for the next instalment! amazing range, quick shipping worldwide and very affordable. At last a one stop shop for great brushes and applicators that give the same quality as pro brushes but without the risks of infection. Thnx Ren that was sooo helpful....do you know of any websites for eyelashes in bulk,both individuals and strips?? ?